This is a book written for you and your children," explains Joey O'Connor. "It initiates a conversation on a difficult subject most people prefer to avoid. It is about people like you and me struggling to figure out what they really believe when the unbelievable has happened. And then wondering, 'What in the world am I going to say to my kids? How am I going to How am I going to explain what just happened in our family and what I believe about the God who saw this whole thing happen?" 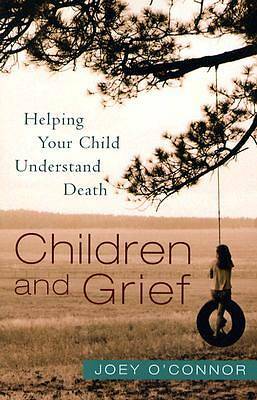 Children and Grief offers parents a way to approach these tough questions with honesty, tenderness, and hope. O'Connor shows how to teach children to trust God, celebrate life, and have hope in the face of death.